is highlighted this month on Eyestylist, that we have seen in our recent travels. 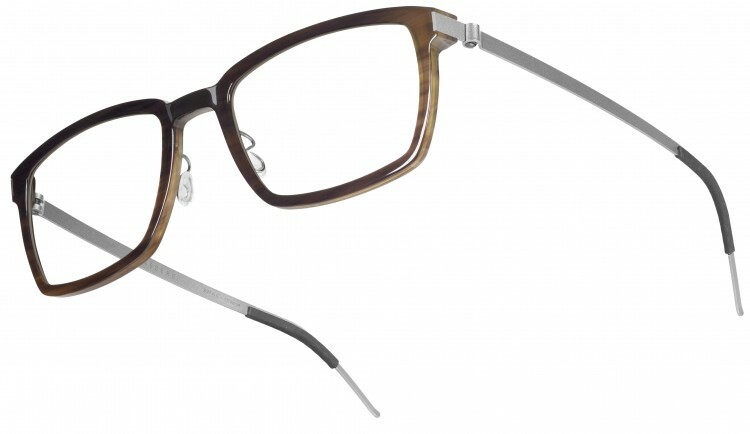 In Reviews, the natural beauty and elegance of horn frames feature. We identify seven of the best and most exceptional buffalo horn styles that combine craftsmanship, individuality and ingenious design. We visit a spirited boutique in Israel, and Italian colour and creativity is showcased in Designer of the Month. 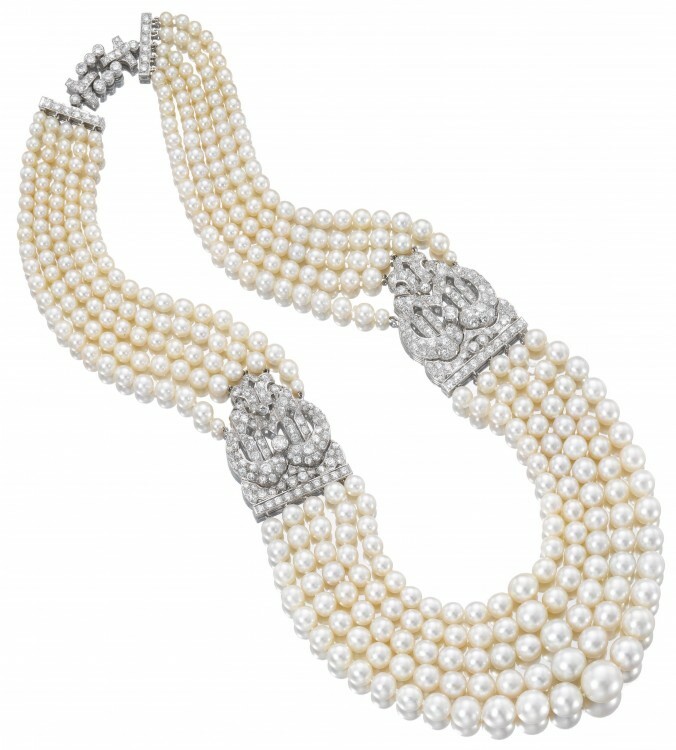 In City Guides, the luxury of natural pearls is the subject of a stunning exhibition in London. Throughout the month, you’ll find exciting accessories on Eyestylist. Ciro Tugnoli Takes to the Road on a Vespa! 29th November 2013 Continuing our series on “Designers Off Duty” – Blue Magic Eye designer Ciro Tugnoli shares his Vespa Rally adventures with Eyestylist. “Vespa is the traditional scooter in Italy since forever….I started with my first Vespa at eighteen years old – not as young as people usually start. I began with an old one from my brother. I took part in my first “Vespata” in 2003. 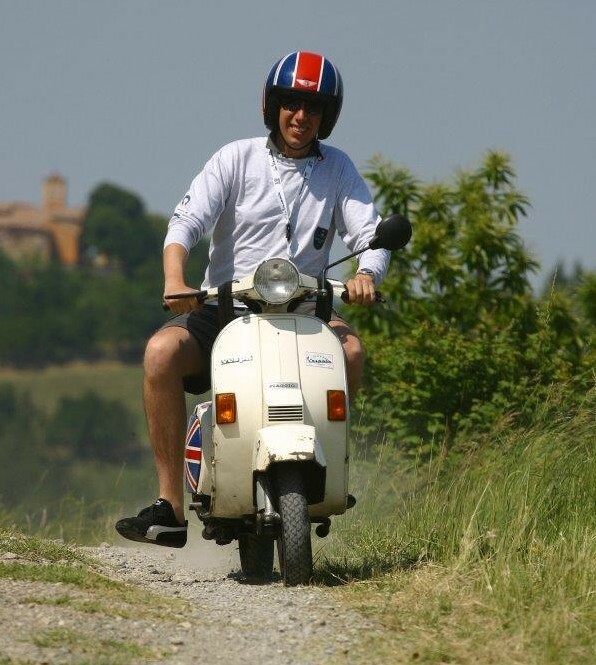 There are several Vespa weekends and meetings around the world, but I usually take part in the one that is held every year – usually in May in Bologna. It’s not really an official Vespa weekend; it’s more a crew of friends that plan a “clandestine” ride across the Bologna hills. We meet each other (I think we are about 300 Vespas) in a Bologna city centre square, and after a quick ride in the city centre (where people look at us with a lot of curiosity! ), we start to climb the hills across the city. We drive for approximately 40km. It’s quite hard to drive a 50cc Vespa, sometimes with two people on it (Guya Montermini Blue Magic Eye Design Partner often accompanies Ciro), climbing the small streets up to the hills. 23rd November 2013 Norwegian author, eyewear enthusiast and photographer, Bjørn L.G. 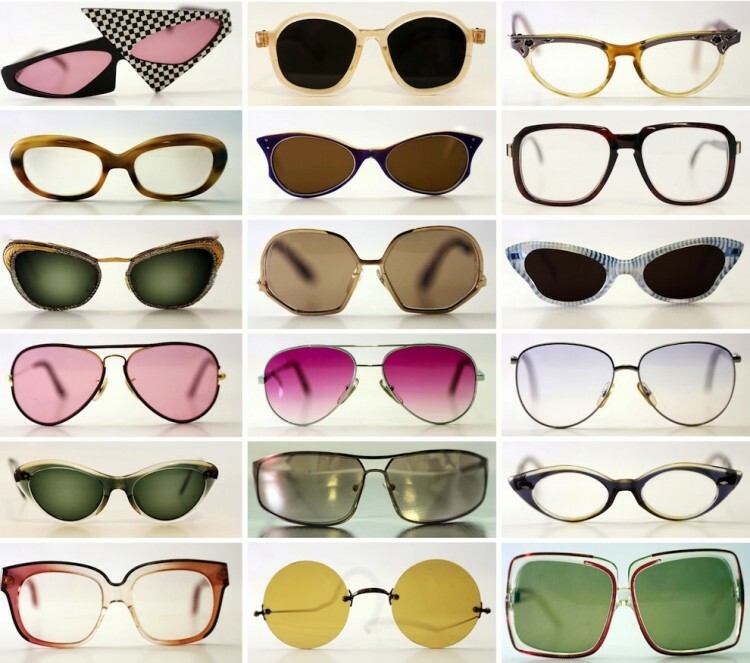 Braathen has been interested in spectacles since he was 15, and worked with eyewear in the late 70s, selling original designs from the 1940s and 50s. His new book released last month, “Spectacles – from need to finery” is published by Orage (Norway) and charts a personal journey and interest in vintage eyewear; the book also highlights two exhibitions by the author, one of which is taking place in Norway to accompany the release of the book. It features an essay by psychologist, Reidar Hjermann on why people like to see and be seen in glasses. The illustrations in the book include Braathen’s own series of portraits as well as interesting pictures of vintage glasses, including early goggles, examples of antique spectacles, early advertising campaign imagery, and a colourful array of spectacles cases. The book is written in Norwegian with an English translation. 22nd November 2013 For many year I’ve written about Silhouette eyewear, and heard about the outstanding production of the iconic frames that takes place in Linz Austria. So it was a pleasure to finally visit the hub of activity and see Silhouette in action. 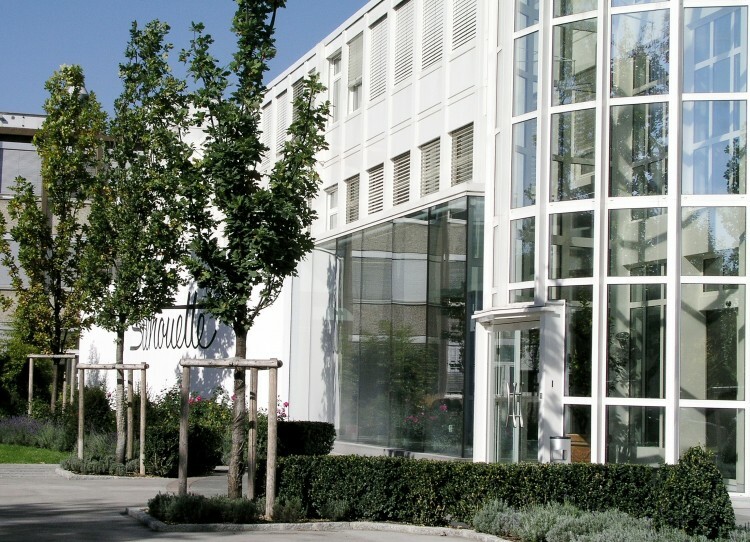 On a visit to Austria, on a sun-drenched morning, the taxi pulled up to the entrance of Silhouette Headquarters, and I entered the Silhouette universe that has been creating eyewear news for almost fifty years. The pristine white building is nestled off a main road in Linz, surrounded by lovely flowers and trees. It’s a serene setting for the multi-faceted activity that takes place inside. Man and machines blend harmoniously at Silhouette – the result of special training by the company, so employees know the correct handling of complex machinery. The personnel are highly skilled and the precision tools used in the process of creating the frames are all professionally cleaned, polished and cared for with meticulous upkeep. There are between 180 and 260 process steps that are part of each frame – depending on the design. Hand processes are an intricate part of the frame making, and each person responsible for the delicate manoeuvres necessary excel at their profession. Everything in the factory is eco-friendly with great care and consideration for the employees, as well as the materials with which they are working. 19th November 2013 Caroline Groves produces shoes that you might have thought you could only dream of. But here they are, like something out of a fairytale, theatrical, beautifully formed, exquisitely embroidered, the ultimate in bespoke handcrafted designs. Typical of her creations are the Betty Boop platforms – Gypsy Rosie – created in smooth black velvet with roses and forget-me-nots embroidered by hand by Alice Archer. Every addition is carefully sourced, from the precious antique buckles on this style to the unexpected exotic Parakeet wings and vintage silks in “Turquoise Parakeet” (below). For those wishing to commission a pair of these extraordinary handmade shoes for a loved one, Groves has created a new gift certificate – an elegantly crafted stiff black envelope – inspired by Victorian keepsakes – with an embroidered toile design. Inside an embossed invitation card promises the bearer the ‘gift of a pair of couture shoes made for you by hand by Caroline Groves’. 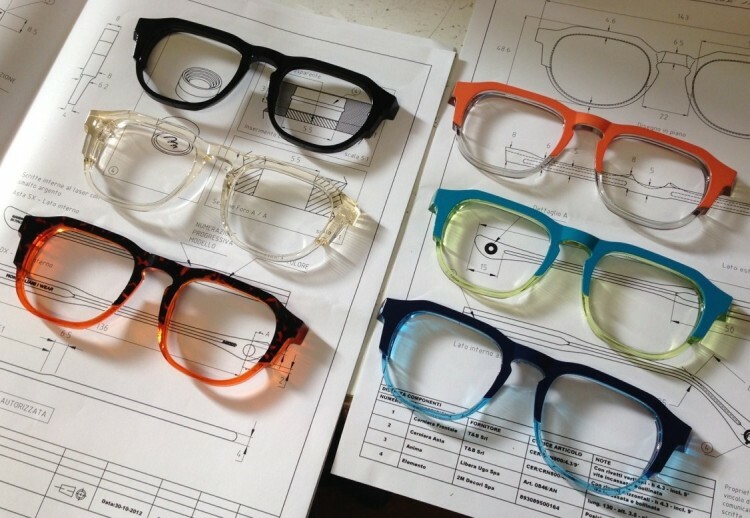 15th November 2013 Shane Baum is a master at designing eyewear that resembles fine art. 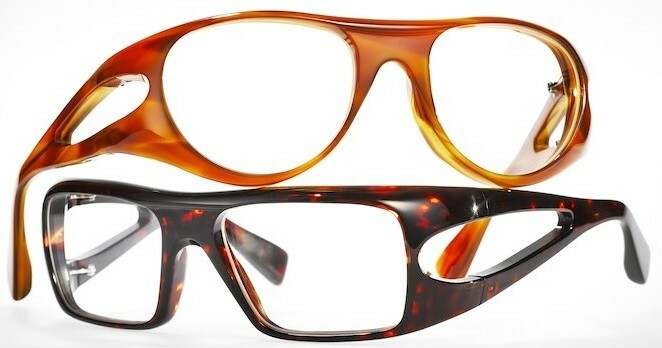 His newest collection pays tribute to acclaimed philosophers with frames that are unique and distinctive. Rodrigues (above) features a keyhole bridge and bold metal insets on the front. Highly intricate multi-dimensional laser etching is applied to titanium with beautiful enamel insets. 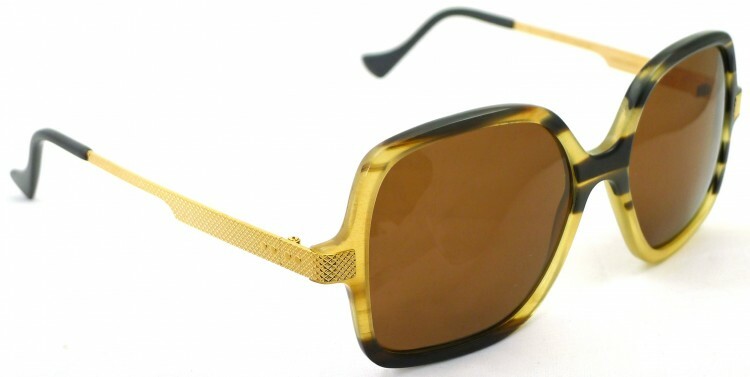 The temple tips are available in 12k, 18K, or 24k gold on pure titanium, combined with Japanese cotton-based acetate. 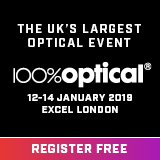 The lenses are coated with Diamond Cast anti-scratch coating – completing a frame with precisely engineered components and meticulous attention to detail. 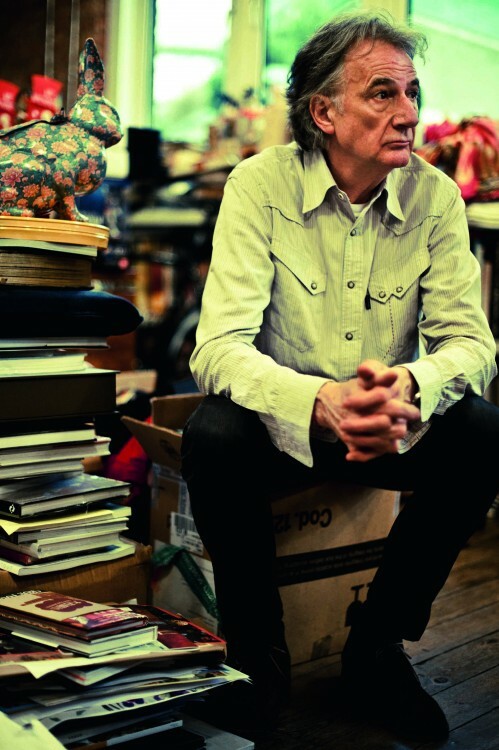 14th November 2013 An exhibition about Paul Smith’s journey in fashion opens tomorrow at the Design Museum, London. It is a wonderful, positive story. At a press launch in June, Smith talked about the tiny store he first opened in Nottingham and the Afghan hound Homer who probably took up much of that tiny space where his fashion retail journey began; he related with great enthusiasm many of his personal experiences and thoughts on his career which will be highlighted throughout the exhibition, which he personally recommended not just to adults but children too. 12th November 2013 The fashionistas were sporting brightly coloured fine eyewear in Paris – see our feature on Christian Roth sunglasses – http://www.eyestylist.com/2013/10/christian-roth-paris-style/, so we urge you to put away all fears of wearing colour on your face, and seek out something sensational for 2014. Bright, cheerful hues are part of the mix again in spring; you’ll see dramatic single shots of primary colour and a new wave of designs featuring colour blasts of neon or layered colour, clashing or coordinated, but always bold and exploring fresh palettes. We highlight three designs that pave the way for the colourful year ahead…..
a-morir’s Creator Kerin Rose Gold has an extraordinary commitment to luxury artisanal eyewear and we always applaud her ability to set the agenda and push boundaries in handcrafted luxury designs featuring gem stones. An Autumn visit to a branch of Marc Le Bihan opticians in the Marais in Paris highlighted their new release – a collection, named Peter & May Walk, produced in France and created by design duo Xavier Matrand and Marc Le Bihan’s daughter, Laura. 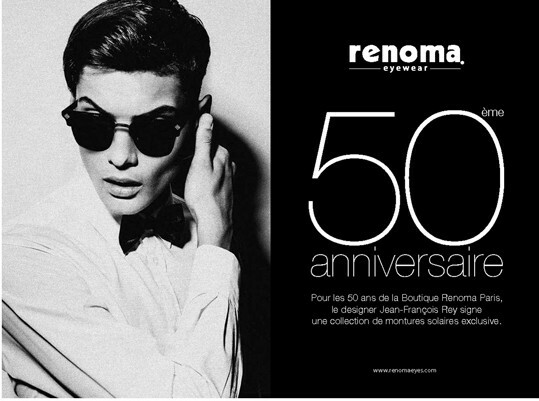 This range is available through Marc Le Bihan stores in Paris and a few selected French and international opticians and department stores; featuring classic minimal styling for the opticals, and some fashion surprises in the sunglass collection, the model that caught my eye was this gorgeous statement piece – model S#07 – which contains real sequinned fabric sandwiched between the smooth Mazzucchelli acetate layers. Unique for seasonal sparkle! Giancarlo Mondello was interested in photography, with a stylised ‘lens eye’ enabling him to understand design. Everything in the Mondelliani collection is linked to colour – “Our attitude to colour is closely related to our being Italian,” says Federico Mondello. Gorgeous, superb quality acetate hues of green, ocean blue, vibrant orange, champagne, and aquamarine are among the delectable tones available in the frames. 1st November 2013 Time Out loves this store and so do we. 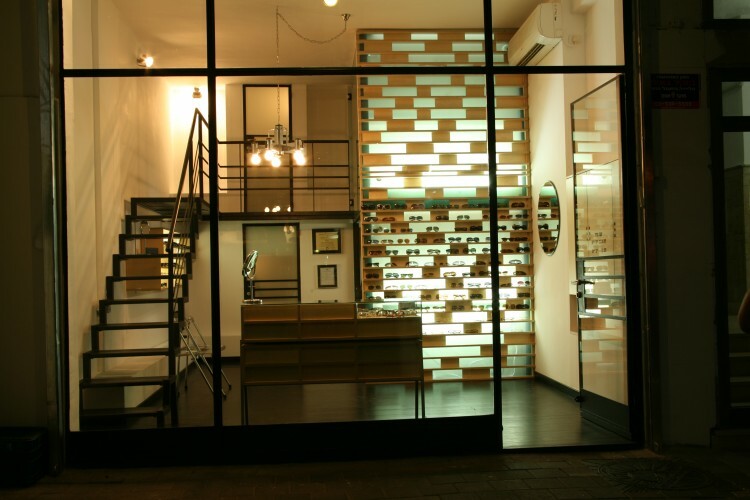 Joseph Haver’s boutique in Tel Aviv stands out not only because of its interesting design but also the owner’s go-ahead spirit in terms of working with glasses. I met Joseph and wife Masha Roda in Paris in September following lots of chats about our eyewear favourites via email. 1st November 2013 Collaborations are all the rage, and an original one never passes us by. In Paris we enjoyed seeing a new collab project between two eyewear labels, a fantastic achievement that shows commitment to innovation and creativity from two sides of the world. Belgian eyewear label theo and Japanese label Factory900 have joined up to release two models in a very cool limited edition of just 1000 of each style.